Need subtitles or display information about your video? It’s very simple. 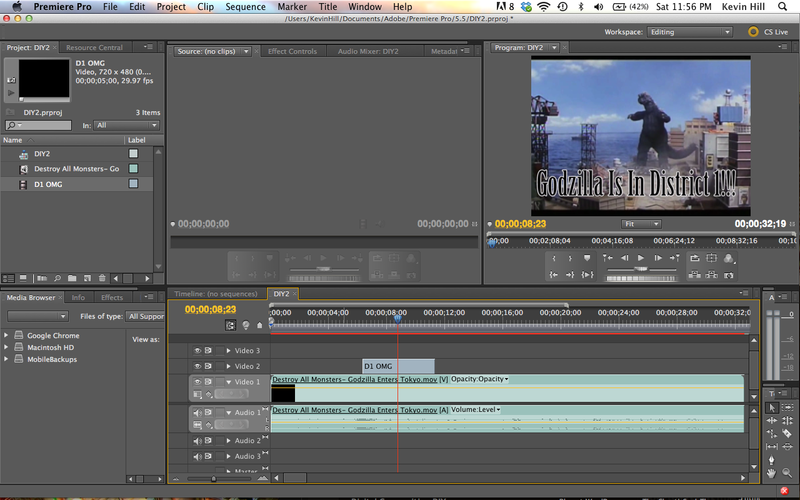 Lets start with my Godzilla video again. 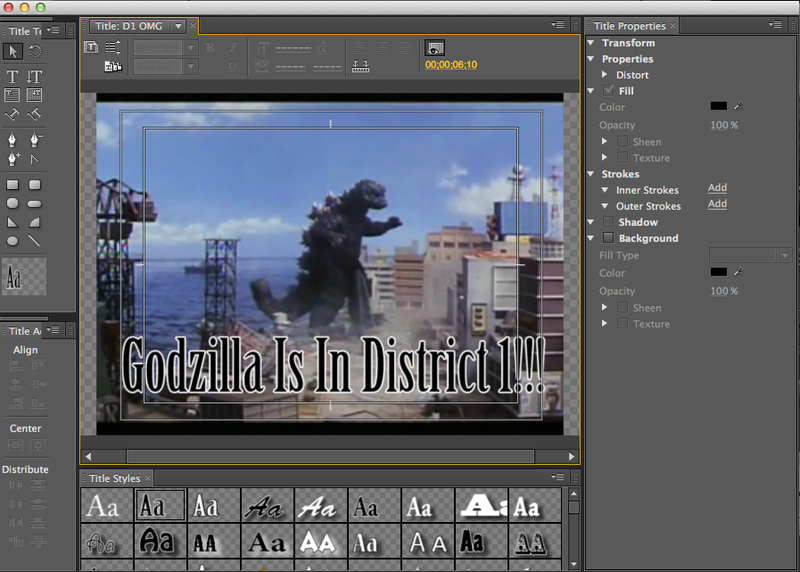 In the previous scene the Japanese person says, “Godzilla is in District 1”. Lets create the crawling text. First go to Title at the top menus bar Title -> New Title -> Default Crawl. Name the new title (lets do D1 OMG) and click the “Ok” button. Now move your cursor to the Roll/Crawl Icon located on the top to the right of the New Title Icon. 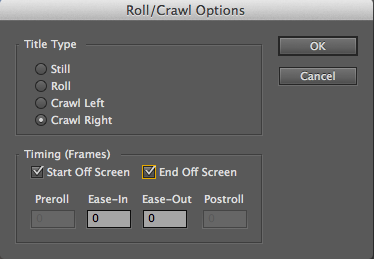 A Roll/Crawl Options window will appear. Choose whether you want still (subtitles) or the text to crawl left and crawl right. For crawling you probably want to check the boxes of Start Off Screen and End Off Screen. 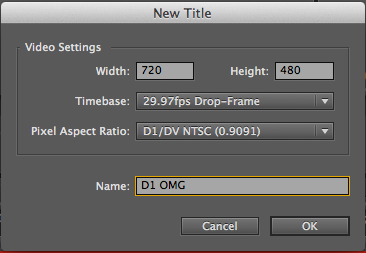 Click the “Ok” button and close the Title editor window. Notice in your project bin on the left there now appears “D1 OMG”. 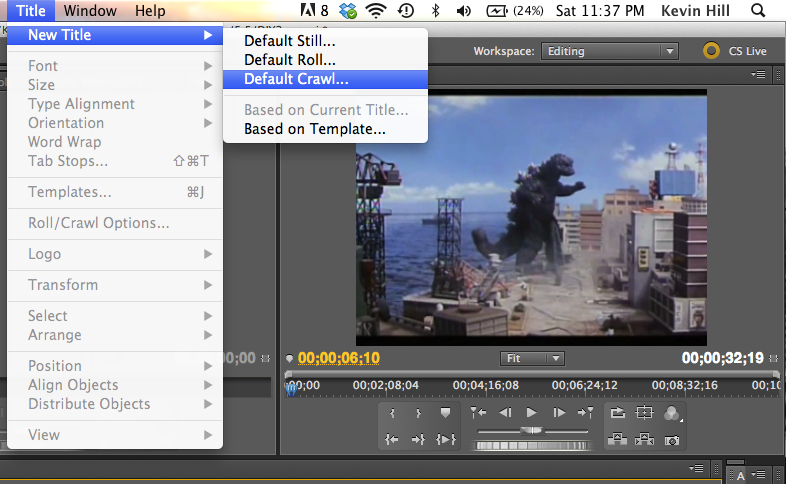 Grab your Crawling Text and add it into the sequence above your video, specifically choosing where you want the text to start and so you can visualize where it can end. And there you go. Watch on the right screen when you press play how your text flies by on the bottom (or the top, or wherever). ~ by kevhillnyu on November 16, 2013.